DII’s Beautiful Fouta Towels Are A Versatile Piece That Everyone Should Own At Least One! Your Fouta Towel can be used as a scarf, blanket, sarong, wrap, picnic blanket, table cloth, at the pool, beach, spa, fitness, yoga, Pilates, boat or yacht. They are highly absorbent, dry very quickly, and are very light and soft – they make the best travel companion! DII Fouta Towels fold easily and take up less space than conventional towels. 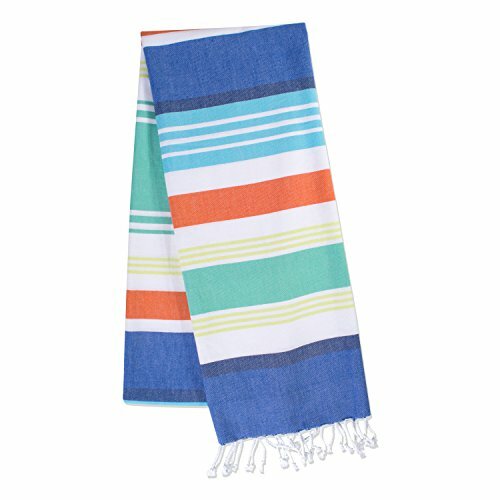 To view our entire selection of Fouta Towels / Throws options search: DII Throws or visit our brand page at amazon.com/dii for a full range of products.